North Korea's illicit and highly sophisticated efforts to circumvent UN sanctions may have sought to cushion their impact, but they offer no long-term solution to the fallout of tightened economic isolation, analysts say. Sanctions relief was top of leader Kim Jong Un's agenda for his Hanoi summit with US President Donald Trump last month, but the meeting broke up without a statement or even a lunch as the two sides disagreed over walking back Pyongyang's nuclear weapons programme in exchange for relaxation. The North publishes virtually no economic statistics of its own, but according to figures from Chinese Customs, exports to by far its biggest trade partner have plummeted by more than 90 percent. Until 2016 -- when the figures say the North sold China $2.5 billion-worth of goods -- the UN Security Council sanctions largely targeted technology that could be used for weapons development. Since then new measures have taken aim at a variety of broad economic sectors, including some of Pyongyang's key foreign currency earners, with exports of coal, iron ore, seafood and other commodities banned, trade in textiles blocked in both directions, and curbs on oil and fuel deliveries. Exports to China were just $213 million last year, say the Chinese Customs statistics -- although some observers question their reliability. A report released last week by the UN's independent Panel of Experts found that Pyongyang was employing increasingly sophisticated and varied ways to circumvent the rules, including the "physical disguise of tankers" and illegal name-changing, as well as ship-to-ship cargo transfers on the high seas. Hugh Griffiths, the co-ordinator of the UN panel, likened Pyongyang's efforts to high-net-worth tax avoiders and multinational corporations. "They are exploiting international waters and the offshore economy," he told AFP. The North uses ship-to-ship transfers for "most of its maritime related coal trade", the report said, adding that "such illegal deliveries became regularised and systemic in 2018". But Griffiths pointed out: "No member-state has supplied me with evidence to show that other member-states in the region are allowing or aware of any systemic import of coal onto their territory. "It all has to be primarily in international waters through ship-to-ship transfers. It takes more time, more effort and more cost." The North was using "increasingly advanced evasion techniques" to circumvent a cap of 500,000 barrels of refined petroleum products imports a year, the panel said. It described one example of vessel identity fraud as "the most sophisticated case" it had yet seen, which had "defeated the due diligence efforts of the region's leading commodity trader", US and Singaporean banks and "a leading United Kingdom insurer". The world's biggest container shipping line has also been caught up in the efforts, with the UN report saying it had continued to "unwittingly transport prohibited items". 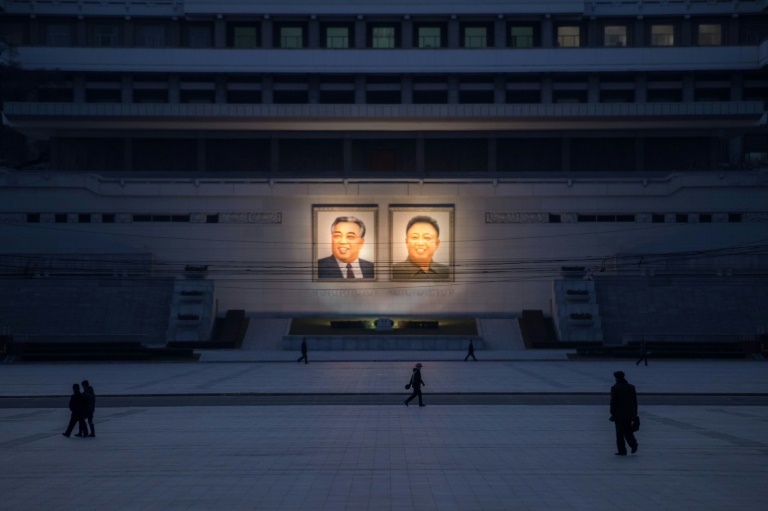 Copenhagen-based APM-Maersk said in a statement to AFP that its policy was "not to trade with North Korea" and that it had "guidelines and processes in place to ensure compliance with international sanctions and trade controls". But while sanctions were being "successfully evaded on a case by case basis", Griffiths said: "They are working and that's very evident from the Hanoi summit. What was the sole demand of the North Koreans? That sanctions be lifted." Analysts say the five sanctions the North wanted withdrawn in Hanoi make up the bulk of the pressure that has helped bring Kim to the table, and without them the US would lose leverage. The current sanctions were the "most excruciating" the North had yet faced, said Jeong Hyung-gon of the Korea Institute for International Economic Policy, and the "dramatic" drop in its exports to China "underscores the effectiveness of Beijing's enforcement". Under-the-table trade would always fall far short of offsetting lost official revenues, said Cheong Seong-Chang, a senior researcher at the private Sejong Institute. And those earnings were "not enough" for North Koreans, especially for those in the ruling class, he added. Last April Kim declared the development of his nuclear programme complete and said that "socialist economic construction" was now Pyongyang's top priority. He has slowly introduced some liberalising economic reforms in recent years, and the North regularly stresses that it wants to improve its citizens' livelihoods. But "no matter how hard the regime tries to get around the sanctions", said Koh Yu-hwan, professor of North Korean studies at Dongguk University, without relief from the restrictions Kim's economic goals were "doomed to fail".